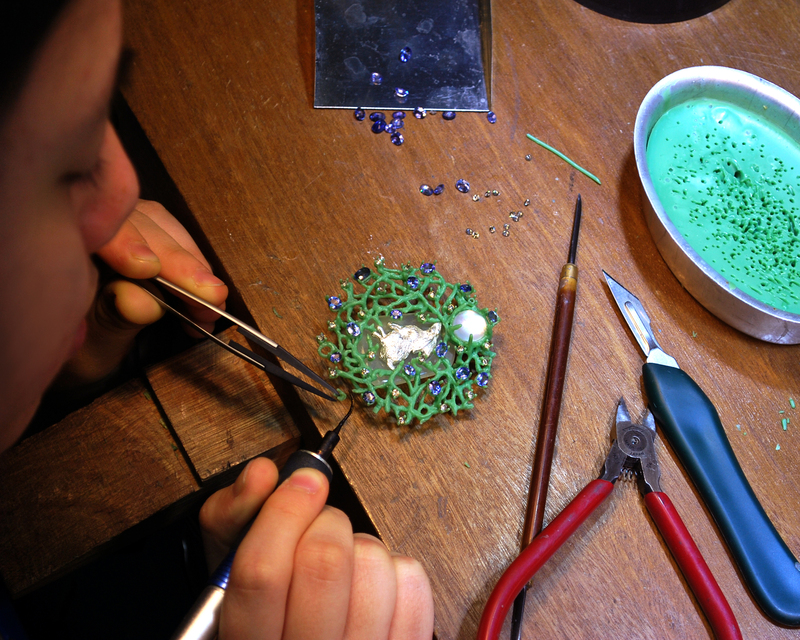 Learn the vital concepts used for designing wax models suitable for jewelry, where shape, weight and part arrangement are taken into account. The instructor will start by introducing the different types of waxes and their uses. Through this, you will learn the process of carving a simple wedding band and how to handle soft wax (sheet and wire) to create sculptural pieces. Then, you will have the freedom to create their own designs. Once the piece is casted, we demonstrate and give you the opportunity of using a variety of metal finishing techniques, including gloss and matte, to deliver stunning designs. Asimi Art also teaches the method of calculating costs for the casting process as this is important information whether outsourcing or producing in-house.